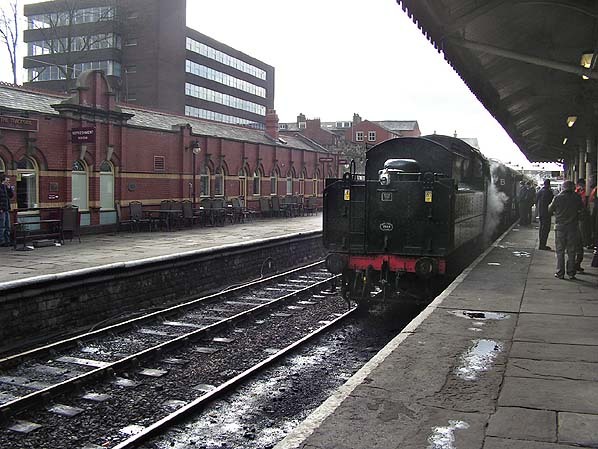 Looking south from Bury Bolton Street station's platform 3 in March 2008. A red brick building is seen on the left. It stands on the site of the original 1846 station building which had been three storeys high. The original building was demolished by BR in 1974. In the 1990s the 'new' ELR built a new structure, in the style of the original.